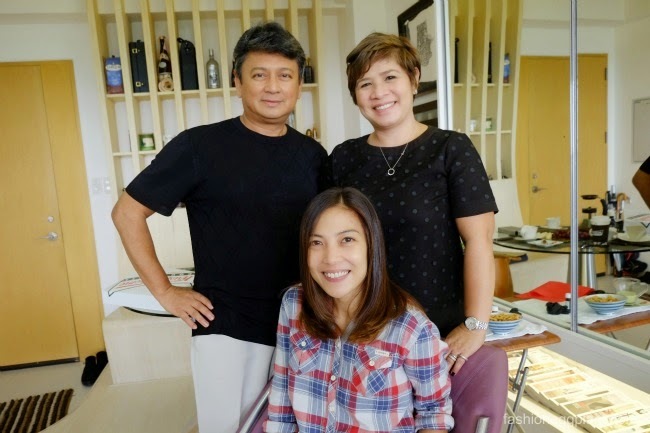 If you want "Hollywood Hair" tailor-made to suit your unique face shape AND lifestyle, JURO is the only salon you need to visit in Manila. 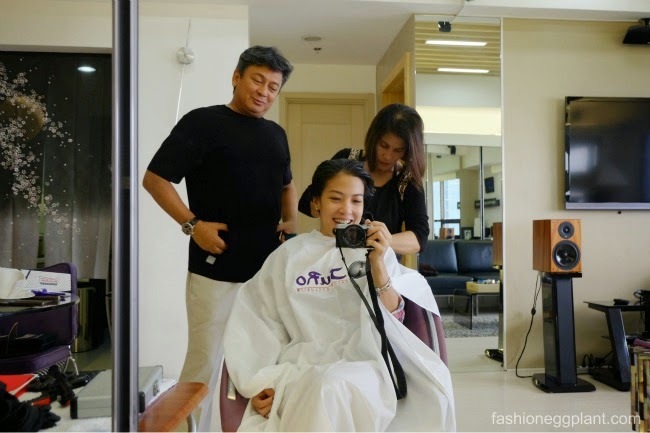 Their "Hair Couture" service is unlike any other in the Philippines. If you are new to my blog, that might sound a bit bias, but no. 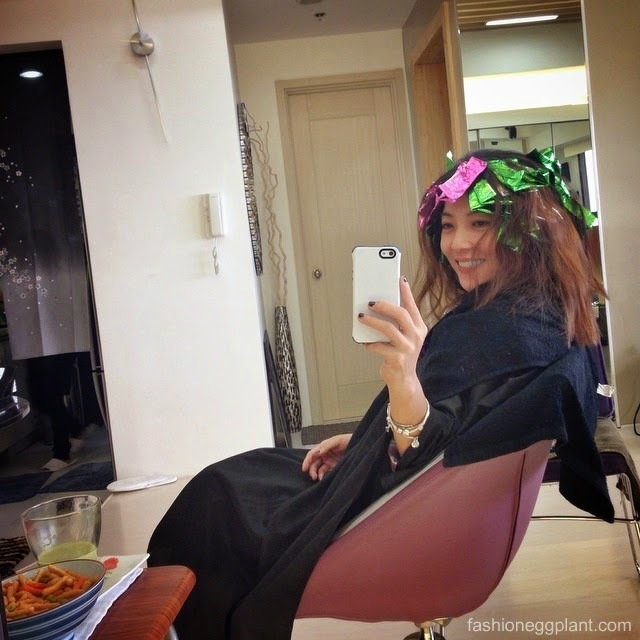 Juro has proved to me over and over again (see HERE and HERE) that they are indeed THE BEST SALON in the Philippines. Not only that, Jude is also a Vidal Sassoon graduate and holds a California cosmetology license. He enjoyed running a successful salon in Santa Monica, California for many years. On the other hand, Ms. Rose is like the Guy Tang of the Philippines. Her years of training and experience as both a hair colorist and teacher combined with her innate talent and keen eye for color and precision allow her to create showstopping looks in all colors imaginable...mermaid hair, turquoise hair, pastel purple hair, soft ombre, balayage, fire engine red, my little pony hair, you name it, she can do it. Best yet, even after all that lifting, when she's done, your hair will look its most healthy and vibrant in years. Unlike my previous two visits where I opted for wilder looks, this time around, I wanted something a little more subtle, mature and easy to maintain. Since I've been growing my hair out for over a year, I didn't want them to chop it short. 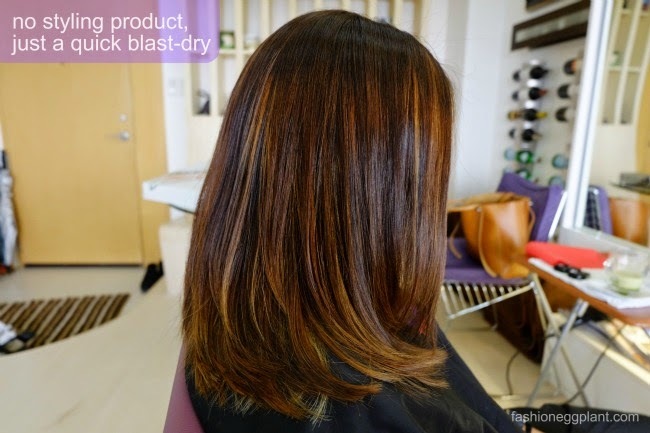 I wanted an updated look with all the soft, wispy layers (that are sooo 5 years ago :P) gone! 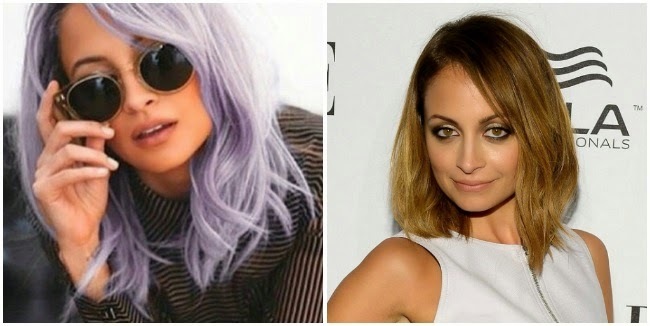 In it's place, I wanted a choppy long bob like Nicole Richie's (peg for life! haha). BUT unlike Nicole who can afford to have a stylist come in and fix her hair everyday, I can't. After discussing all these issues over hot cups of coffee prepared by Mr. Jude at their "secret salon" reserved only for loyal clients and VVIP guests, it was time to get started. Once that's done, it's time to get started! I was sooo excited because this was the first time Jude was ever gonna cut my hair with me standing up! He does this with longer hair lengths to ensure a perfectly even and symmetrical cut. Once he's satisfied with the length, it's time to get back in the seat so he can begin "sculpting your hair". Unlike most hairstylists who rely solely on technique, Mr. Jude uses his intuition along with his skill in precision cutting, (which both he and Ms. Rose improve on every year by travelling abroad for fresh training in the latest hair trends), to create a haircut that is not generic looking and is guaranteed to grow out gracefully by respecting the behavior of your natural hair. The result? Less visits to the salon and zero bad hair days! For color, Ms. Rose decided to incorporate Majirel's new Cool Cover dye because of its soft attributes and purple/gray base that prevents a brassy look even months after fading. She combined this base along with 4 other shades to create a textured look that would blend in well with my old color thus allowing me to get away with fewer retouches in the future. Also, those bold, blonde streaks (that at first got me a little freaked out :P) are there for a reason. After listening to my dilemma about white hair popping out every two weeks, Ms Rose put those blonde streaks in to make them less noticeable. They also do a great job of framing my face and adding a certain "glow" to my complexion. Lastly, I just feel the need to mention that no bleach was used and the dye applied on my hair had a very mild odor and was very gentle on the skin. 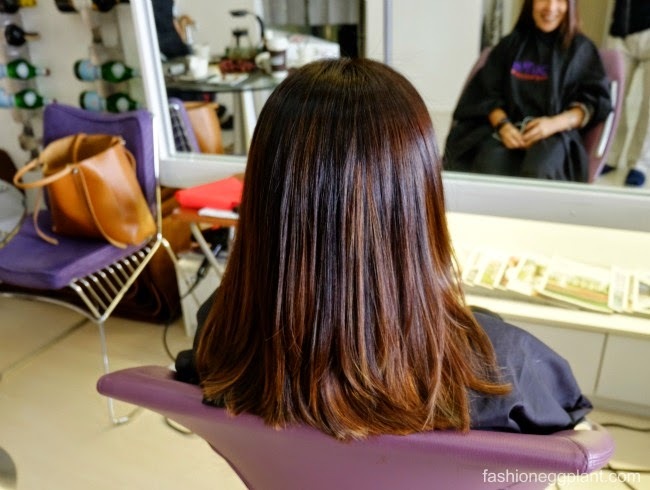 This type of cut combined with Ms. Rose's unique, and stringent method of ouido coloring allows my hair to adapt and appear as if I got a new 'do each time I style my hair a different way. And my favorite of all, (although I don't have a photo yet :( to follow soon, promise!) layered and beautifully textured like Nicole Richie's when it's wavy!!! woot! 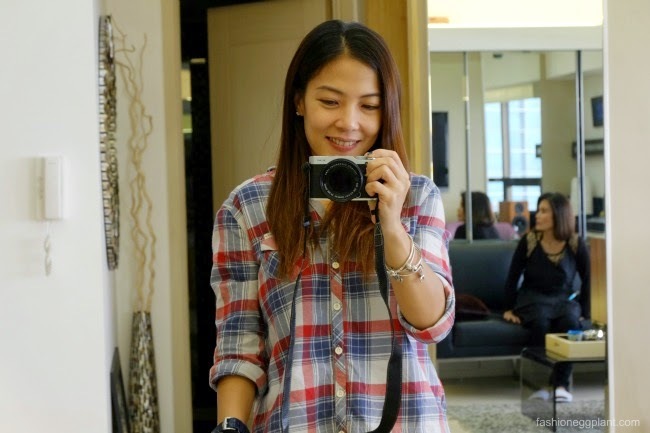 So again, thank you, thank you Ms. Rose and Mr. Jude for always addressing my hair issues precisely and for being more than just hairstylists but confidants as well. I ALWAYS leave your salon with an extra dose of confidence afterwards. 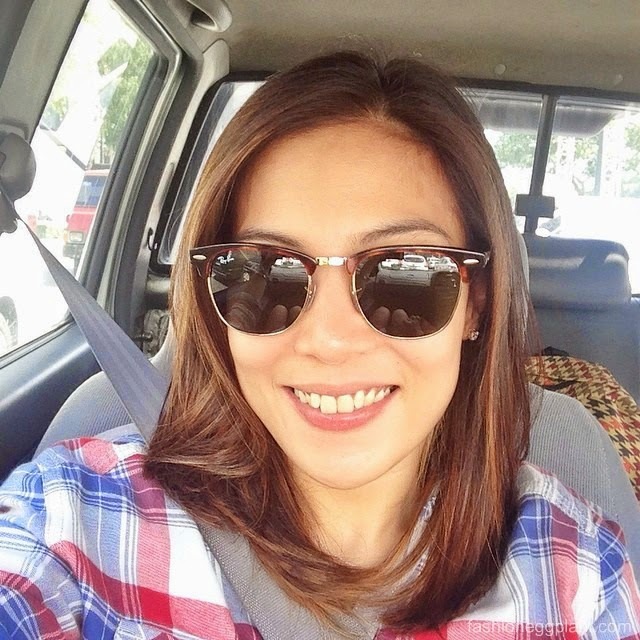 If you're looking for the best hairstylists in the Philippines, I highly suggest booking a free consultation at JURO.